The very affordable line of Marcy exercise bikes leave off the frills and concentrate on giving the user a solid and stable frame, a simple display, and a smooth workout experience. The Marcy brand was first established in 1959 by Walter Marcyan, a Vaudeville Strongman who competed professionally and opened several gyms in the Los Angeles area. Today, Marcy is a part of Impex Fitness, a company started in 1982 and based in Pomona, California. Most of their equipment is geared towards the home user and is available online and at most major sporting goods retailers. Impex also owns Apex, Armed Forces, Hers and Competitor, and recently acquired distribution rights for Adidas exercise equipment and accessories. In addition to exercise bikes, Marcy makes strength training equipment such as weight benches, Smith machines, power racks and power towers, as well as steppers and elliptical trainers. At any given time there are about a dozen different exercise bikes in Marcy's lineup, all under $300. One of the main reasons for their popularity is definitely the price, as all of the models are very affordable and offer enough features to satisfy most users. Their uprights and recumbents are more popular than their indoor cycles, but all of them sell quite well. In the upright category you have the Marcy Upright Mag Bike with 8 levels of magnetic resistance, decent sized console showing speed, calories, time and distance, adjustable foot straps and transport wheels. It retails for under $100 on sale. You then have the Foldable Exercise Bike with manual adjustment resistance, adjustable padded seat, basic display and a foldable frame. That one is about $100 on sale. Moving up the ladder you have the Air 1 Fan Exercise Bike which gives you exercise arms to work out the upper body while you pedal. The fan keeps you cool during your workout. It has a basic display console as well and transport wheels, at about $250 on sale. There are a few others including the Air Upright, NS908U and the Magnetic Resistance Upright. In the recumbent category you have the very popular Marcy ME 709 Recumbent Exercise Bike, which is very similar to the Upright Mag Bike feature-wise. It costs around $129. You then have the NS-716R Magnetic Resistance Recumbent Bike, with adjustable stride, 8 levels of resistance, step-through design and basic display. That one will cost you about $180. The Marcy Recumbent is a slight step up from the Magnetic, with a few enhanced features, costing just under $200. The most popular indoor cycle is the XJ-3220 Club Revolution Cycle Trainer, featuring a 40 pound flywheel, adjustable handle bars, basket cage pedals and seat and manual adjustable resistance. Most of the Marcy exercise bikes get good reviews, as they are functional and decently built, especially for the price you will pay. Should You Buy a Marcy Exercise Bike? If you are in the market for a very basic bike that simply offers you the opportunity to burn some calories and get into shape, Marcy exercise bikes are perfectly acceptable. They are very similar price and feature-wise to another popular brand called Exerpeutic, which offers a comparable range of uprights, recumbents and indoor cycles. Are they awesome bikes that you'll be amped to hop on every day? Definitely not. They don't have any special features, built-in workouts, heart rate monitoring, entertainment or anything that the more expensive bikes have. Marcy bikes are bare bones...you get a few resistance levels and a basic display showing you a few workout stats...and that is all. As long as you know that going in, and you're not expecting the most amazing workout of your life, you'll be perfectly happy with any one of these bikes, especially since you'll only be paying a couple of hundred dollars. 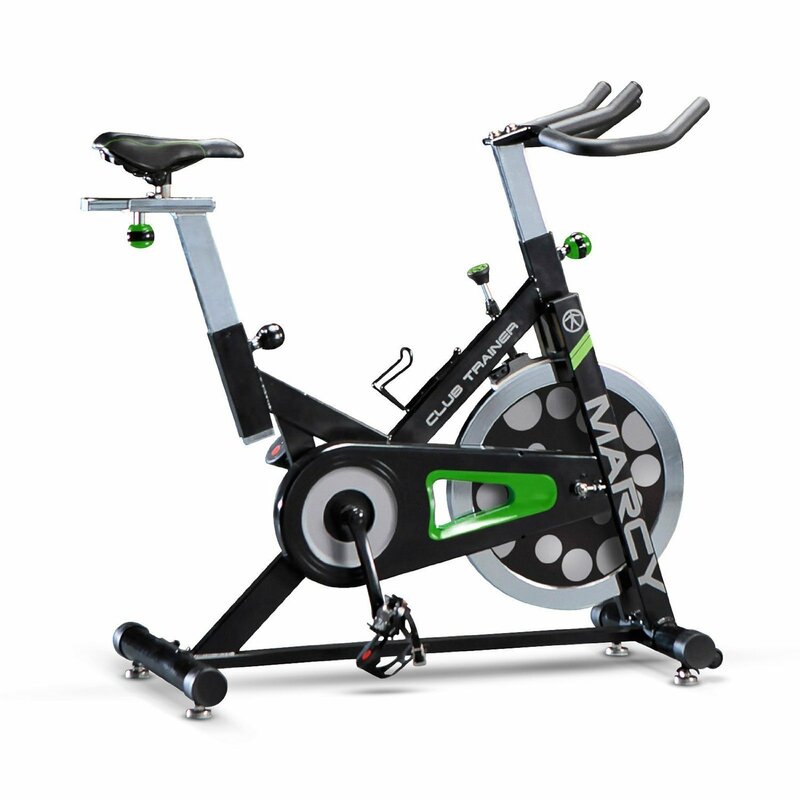 Marcy Classic Upright Fan Bike - The Marcy Fan Bike offers a rush of cooling air flow that not only provides a breeze while you workout, the fan flywheel is also the source of the bike’s resistance system. 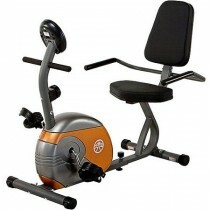 Marcy Upright Mag Cycle - This compact and lightweight exercise bike is a good fit for tight spaces and small budgets. Marcy Recumbent Mag Cycle - One of the best recumbents under $200.